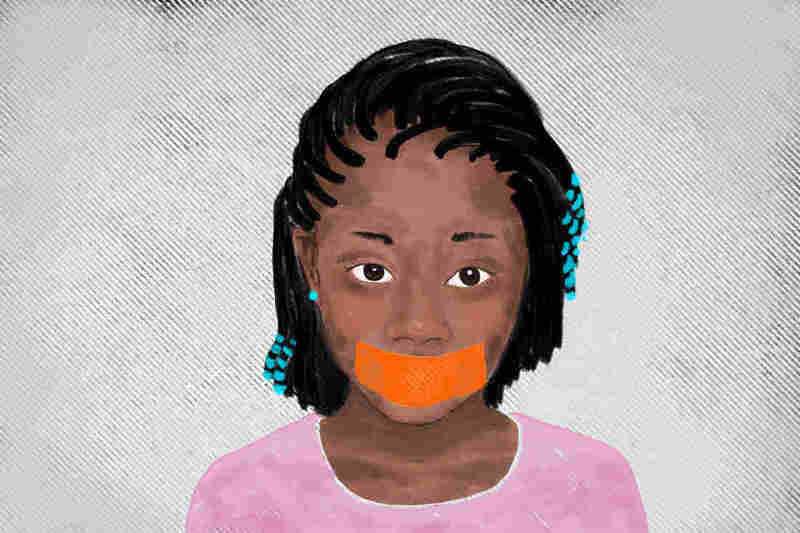 The Untold Stories Of Black Girls : NPR Ed Black girls are suspended from school at six times the rate of white girls. In a new book, Pushout, author Monique Morris tells their stories. The video, taken at Spring Valley High School in Columbia, S.C., went viral last fall: A school safety officer flips a desk to the floor with a girl seated in it, then flings her across the floor. The student is African-American; the officer is white. Ultimately, the officer was fired based on the fallout surrounding that video. But Monique Morris, a scholar, author and activist, was concerned about what else happened, when the cameras were turned off. The student, 16, was both arrested and suspended immediately after the incident. So was a second student, another black girl, Niya Kenny, 18, whose role seemed to be encouraging her classmates to film the incident. Moreover, says Morris, "My conversations with the legal community in South Carolina revealed that when those girls came back to school they were faced with a pretty hostile environment." Both girls started avoiding school. Recent research has documented that black girls are punished at school at rates that are even more disproportionate than those experienced by black boys. For example, they are suspended six times more often than white girls. 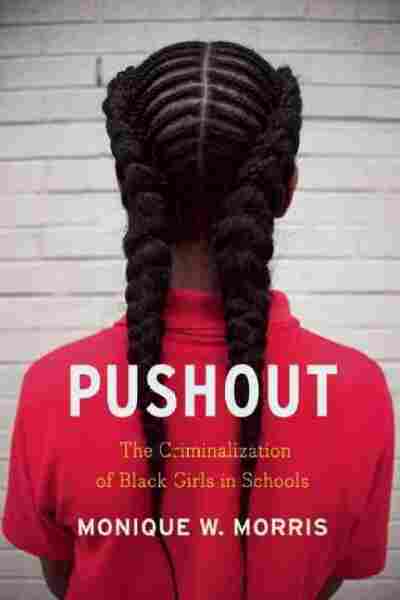 Morris calls this "a story untold," and she sets out to tell it in her new book, Pushout: The Criminalization of Black Girls in Schools. For the book, Morris spoke with straight, queer and transgender teenage girls in the San Francisco Bay Area, Southern California, Chicago, New York, New Orleans and Boston. They had been in juvenile detention, in gangs, in foster care, in group homes; they had been homeless, runaways, sexually abused and exploited. And they told stories of how schools, rather than being safe havens, had become one more "hostile space" on that list. "Black girls are getting the message that no one wants them there [in school] more than other girls," says Morris. Morris met Faith, 15, in juvenile detention. Faith identifies as gay. "In school, if you get in an argument with a teacher, you damn near lost. ... If it's a student and teacher, the student's automatically in trouble. "I'm human. Just a human being, like this whole world ... and then, I feel like, when you question somebody, it's wrong 'cause [they're] an adult. I feel like, why I can't ask a question? ...That's why I got a mouth." Morris: "When girls are labeled disruptive and suspended for being 'defiant' for asking questions, when this is seen not as a demonstration of critical thinking but an affront to teacher authority ... girls begin to feel that the emphasis is on how they look, what they're wearing, how they speak, how loud they speak, rather than whether they're learning." "I think education is important, because nobody can take that from you," said a girl named Jennifer, age 16, in the Bay Area. But, Jennifer says, she was raped at age 12 by a man who forced her into prostitution. By the age of 16, she had failed seventh grade, had been in and out of many foster homes and hadn't attended school regularly for over three years. Skipping class led to suspensions; so did fighting. "A lot of people didn't like me because ... I used to dress raggedy because I didn't have anything," she told Morris. Meanwhile, at her foster home, "they, like, talked about me. Told me I'm stupid and never going to be anything. And I believed it, and so that's when I went back to prostitution." Morris says Jennifer's schools missed opportunities to pull her in rather than push her out. "It's important for us not to see the victimization of girls as separate from what they face in school," she says. "We need to rethink schools as places that are critical for girls in terms of keeping them out of the criminal system in a huge way." The girls themselves, she says, even those in trouble with the law, understand the value of education. Paris transitioned from male to female during her high school years in New Orleans. "Mostly, my problems didn't come from the students. It came from the staff and the faculty of the school. [They would say] I was a 'distraction' to the students. I was 'disruptive' because how could a student focus knowing there's a person like [me] in the room?" Morris: "Most teachers do engage in their work with love. [But] we're all impacted by implicit biases. ... If we're not actively monitoring and holding ourselves and institutions accountable, we're missing the mark completely and leaving girls much more vulnerable." Morris ends the book with two appendixes. One offers direct advice to girls themselves, their parents, educators and other concerned community members. Appendix B, "Alternatives to Punishment," is an argument for, and an explanation of, two different approaches to school discipline: positive behavioral intervention systems and restorative justice. Both focus on resolving conflicts within school rather than putting students out of school. "When I was researching the book, the girls were repeatedly saying, 'If you just put me out of school that doesn't solve the problem,' " Morris says. "These are places where we're going to be asking our children to learn. If we want them to be safe, we have to find ways for them to reconcile their conflicts."